CA Legal Magnum Research Desert Eagle Mark XIX .44 Magnum Semi-automatic Handgun. Hollywood looks, magnum firepower, big-time "cool factor"... what are you waiting for? If the thought of throwing some heavy loads downrange makes your mouth water, if you're a firm believer in "go big or go home," the Desert Eagle Mark XIX is the powerhouse you've been looking for. 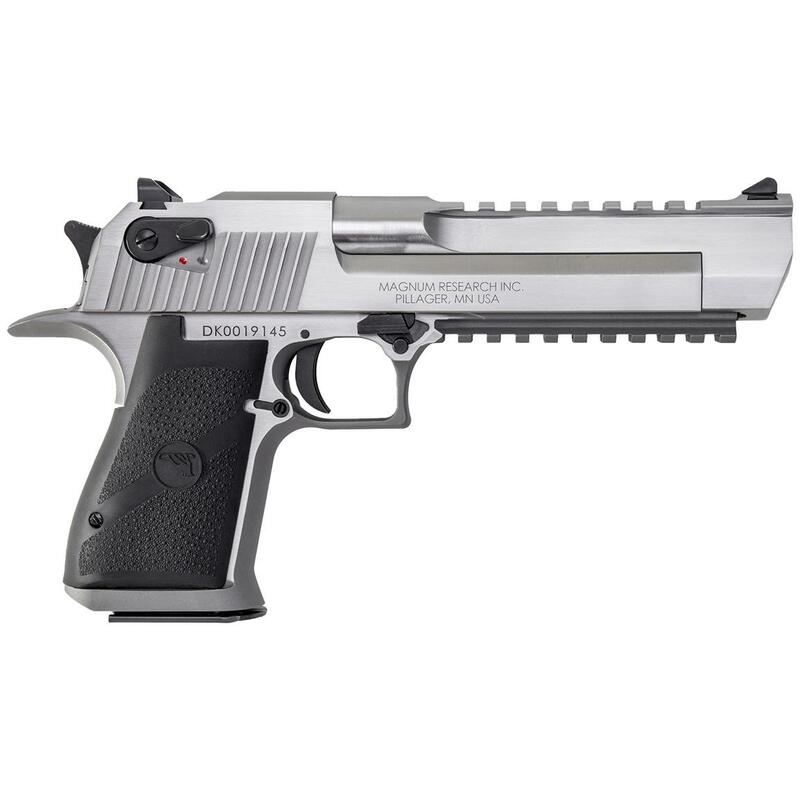 Generous 8.5" sight radius, the longer the better, and the Desert Eagle delivers on the "longer"
Overall weight: 4 lbs., 7 ozs.